← Where Would You Like To Be On St Patrick’s Day? 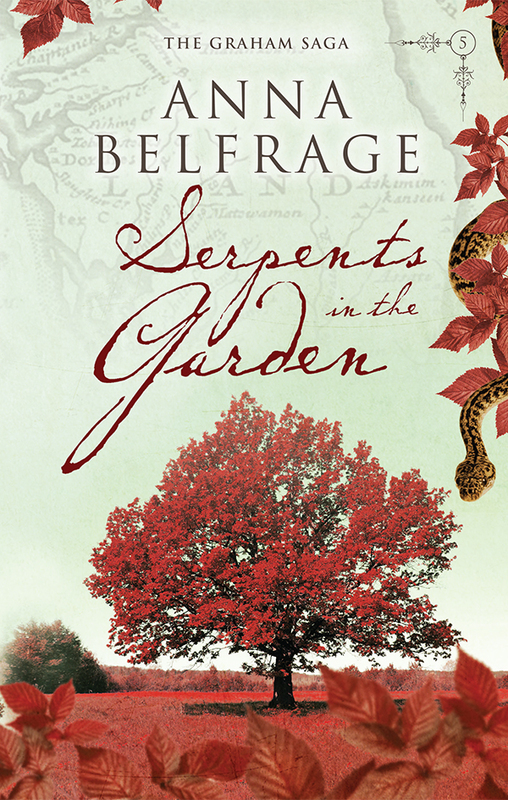 I recently received a copy of Serpents in the Garden by Anna Belfrage to review. The publisher, Silverwood Books says this about the story: “After years of hard work, Matthew and Alex Graham have created a thriving home in the Colony of Maryland. About time, in Alex’s opinion, after far too many adventures she is really looking forward to some well-deserved peace and quiet. I’ve read several time slip novels during the past year or so and I’m always fascinated by the idea of time travel and what it would be like to find yourself in another era. This novel is the first one that has transported me to seventeenth century America and I enjoyed the experience. Serpents in the Garden is well written and has a plot that keeps the reader’s attention. I was intrigued by the storylines of each of the main characters and found myself wanting to continue reading about a particular character, especially Jacob, whenever the narrative shifted away from his or her story. I knew we would get back to it but I was impatient to find out what happened next. There is a good contrast in settings between the American wilderness and seventeenth century London. The author describes both settings vividly so that they are easy for the reader to see inside his head. I was especially intrigued by the world of the English apothecary. Characters are, of course, central to any story. This was my first introduction to Alex and her family but I related easily to the twenty-first century woman who has found herself in a very different world from her own. Alex is a modern woman who has been dropped into the past and I thought she is very credible as such. Her husband, Matthew is also realistically drawn, reacting with a mix of courage and fear in dangerous situations. He isn’t a larger than life hero but a man who faces what life throws at him. I like this believable portrayal of a character. I found the main characters engaging and quickly became immersed in their stories. I also particularly liked some of the minor characters such as the feisty Mrs Parson and Alex’s wily brother-in-law, Simon Melville. I did not find it difficult to pick up the threads of the story even though this is the fifth book in a series. Details from previous books were seamlessly woven into this novel and explained so that the reader isn’t confused. It’s possible to read Serpents in the Garden as a standalone book or as part of the series. All the strands of the story come together for a satisfying conclusion to the book. But it’s not the end of the story: one key strand is very clearly left hanging, making the reader eager to start the next book in the series. It seems I’ll have the next novel to add to my TBR pile…. I can honestly recommend this novel to anyone who enjoys historical fiction, fantasy/time-slip or just a good story. For more information about the author visit her website and her Facebook page. Serpents in the Garden can be found on its Amazon page and Goodreads. About Anna Belfrage: Anna was raised abroad, on a pungent mix of Latin American culture, English history and Swedish traditions. 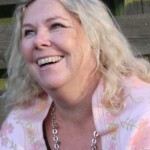 As a result she’s multilingual and most of her reading is historical – both non-fiction and fiction. She was always going to be a writer – or a historian, preferably both. Instead she ended up with a degree in Business and Finance, with very little time to spare for her most favourite pursuit. In between juggling a challenging career she raised four children on a potent combination of invented stories, historical debates and masses of good food and homemade cakes. Nowadays she spends most of her spare time at her writing desk. The children are half grown, the house is at times eerily silent and she slips away into her imaginary world, with her imaginary characters. Every now and then the one and only man in her life pops his head in to ensure she’s still there. This entry was posted in April 2014 and tagged Anna Belfrage, historical fiction, Serpents In The Garden, seventeenth century America, seventeenth century England, The Graham Saga, time slip novels, time travel. Bookmark the permalink.